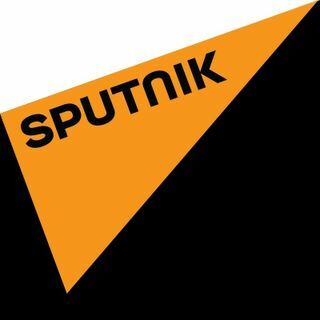 Radio Sputnik brings you an alternative perspective on the events in the United States and the world over that you are not going to find on corporate-owned media. “By Any Means Necessary” on Radio Sputnik hosted by Eugene Puryear connects the political, social and economic movements shaping the world around us. With a sensibility informed by movements from Black Power to #BlackLivesMatter with a dash of Occupy, the show elevates the people and narratives that while often ignored are driving some ... See More of the most important changes in the world. Independent analyst Garland Nixon and Republican investigative reporter Lee Stranahan battle it out, Monday through Friday, on a show that's explosive, ... See More informative and entertaining. With Nixon on the left and Stranahan on the right, you'll learn more about the topics that matter most from these two anti-establishment mavericks...and have a blast doing it. Democratic analyst Garland Nixon and Republican investigative reporter Lee Stranahan battle it out, Monday through Friday, on a show that's explosive, informative ... See More and entertaining. The Critical Hour is a daily 60 minute hard hitting news analysis and talk radio program hosted by Dr. Wilmer Leon. The mainstream news outlets play it safe by parroting the perspectives of their corporate benefactors. The Critical Hour uses clear, cutting edge insight and analysis to examine national and international issues impacting ... See More the global village in which we live. Those who are truly interested in understanding what is going on in the world, why and especially who is behind it turn to The Critical Hour for rhetoric free analysis and commentary. Unanimous Dissent is a progressive news show covering US policy and legislation from Washington, DC. It is produced by Sam Sacks and Sam Knight, the co-founders of the District Sentinel News Co-op. Join us in dissent every Monday through Friday.